Does Your Down Jacket Need a Hood? / Does Your Down Jacket Need a Hood? This week we ask our Gear Editor John Ellings the question: Does your down jacket need a hood? For further clarification on this topic or to request gear questions to be answered in the future, please use the comments field below the article. A down jacket is a wonderful insulating piece: it’s light, packable and offers premium warmth that you simply can’t find in a synthetic equivalent. In choosing your perfect puffy, one of the forks in the road is whether to go with a hood or without. Nearly every down jacket on the market is offered in both forms, and there’s a reason for that—both have very valid applications. So which version should you choose? Let’s start by looking at what you’re getting with the hood: extra insulation. And not only is a hood warmer than a hat, it has wonderful heating efficiency. By covering not only your head but also your neck, there are far fewer places for cold to sneak through than what you’d experience with a beanie or other dome-insulating combination. In addition, the weight difference between the various options is negligible, but the down hood will pack down smaller and you don’t have to worry about losing the extra piece of clothing. If ultimate warmth and convenience are what you’re after, the hooded down jacket is an excellent choice. The decision often is a little more complicated than warmth and comes down to intended use. 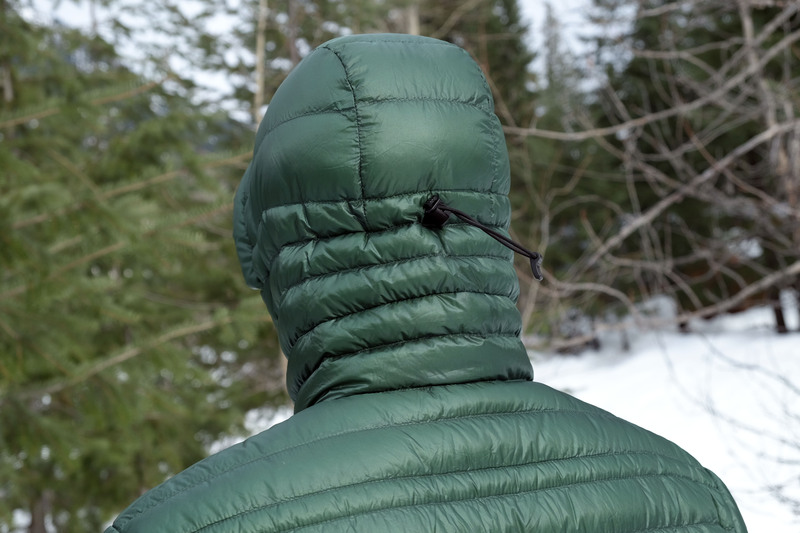 For backcountry endeavors like backpacking and rock climbing, hoods are extremely popular and you’ll see them more often than not, particularly in frigid temperatures or during downtimes between sections of trail or climbing pitch. It’s easy to pull the hood up over your head for extra warmth and wind resistance while belaying, and they rarely get in your way in terms of movement (and only have a small impact on peripheral vision). Hoods are extremely cozy when you’re high on a summit or standing around the campfire at night after a long day on the trail. Even day hikers will appreciate the warmth of a hooded down jacket when stopping for lunch or crossing a high mountain pass. Our go-to hooded down jacket for these uses is the Patagonia Ultralight, which hits that just right space of warmth, comfort and performance (for a full list of our favorites, see our best down jackets). As a midlayer for skiing and other winter sports—with the down jacket worn underneath a ski jacket or shell—the answer most often is to avoid the hood. Wearing a weather-resistant piece over your down jacket means primary head protection is assigned to the outermost jacket, and a hooded midlayer will be left bunched up behind your neck. True, you can double up the hoods, but that’s only really needed in extremely cold and wet environments. You can also roll up or fold the hood, but the extra bulk is still lurking along the back of your neck. If your down jacket use is casual—mostly around town with the occasional hike—the choice comes down to style and comfort. We see performance-oriented down jackets with hoods around Seattle all of the time, but some people opt for more straightforward and cheaper pieces that aren’t as technical and don’t have the hood. The popular non-hooded version of the Patagonia Down Sweater is great for casual use and light adventuring, and you can even get REI’s Co-Op Down Jacket for under $100. Keep in mind that if you wear your down jacket primarily as an outer piece, you will need to take precipitation into account. Hunkering down in frigid temperatures is what a down jacket is made for, but they are not waterproof. Light precipitation usually is okay, especially if your jacket has a DWR coating, but prolonged periods of rain hitting the jacket directly will end up soaking through rather quickly. Even down with a hydrophobic coating will not keep the jacket insulating in a downpour. Hooded: $349 and 10.5 oz. Non-hooded: $299 and 9.6 oz. Hooded: $350 and 7.7 oz. Non-hooded: $320 and 7 oz. Hooded: $279 and 15.1 oz. Non-hooded: $229 and 13.1 oz. Based on these three popular down jackets, the price difference between hooded and non-hooded versions range from $30 to $50, and the weight difference is a couple of ounces at the maximum but usually less. Given that you have to buy a beanie or already have made that investment, and the hat itself will weigh a handful of ounces, we give the nod to the hooded version in both categories. One of our favorite hats for hiking and backpacking is the Ibex Meru, which costs $30 and weighs 1.4 ounces. 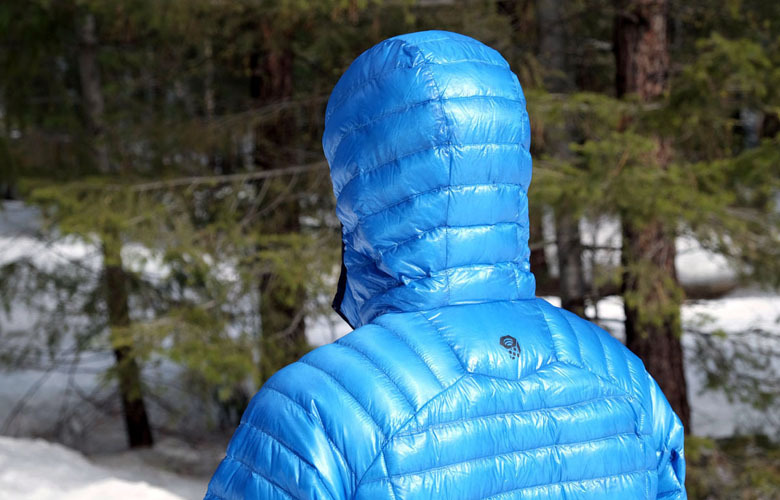 We touch on comfort differences below—we far prefer down jacket hoods to hats—but the Meru weighs more than the hood on the ultralight down jackets and is similar in price. Given the very noticeable jump in warmth and comfort, we prefer a hood. The Meru does weigh less than the hood on the Patagonia Down Sweater by 0.6 ounces and saves you $20, but again, we value the warmth and comfort even in this case. And you can be sure that most beanies weigh more than the low-profile Meru. Are All Hoods the Same? If you wind up deciding on a hooded down jacket, don’t make the mistake of assuming that all hoods the same. To start, a number of climbing and mountaineering companies like Montbell and Arc’teryx make helmet compatible hoods that are larger and, you guessed it, fit over most helmets. These are great if you plan on actually wearing a helmet with your down jacket, but the size and extra material is unnecessary and slightly heavier than non-helmet compatible hoods. In addition, some hoods have rear cinches with drawcords to tighten, while others utilize elastic around the hood opening to fit snugly against your forehead. Lacking adjustability, these hoods are most often found on super light performance jackets and can be hit and miss depending on your head size. They also have a distinct, worm-like look that sits tightly against your head and neck, which makes them a little polarizing for casual use. Unless you’re trying to trim every last ounce from your jacket, we typically suggest choosing a hood with a rear cinch. If you’re backpacking, climbing, or even using your down jacket casually, some head coverage likely will be necessary. For years, we brought a beanie along on our hiking trips and broke it out at the end of the day and for sleeping at night. The benefits are simple: it’s a relatively cheap way to keep warm that is super durable, and the low profile fit doesn’t obstruct field of vision. As mentioned above, however, a hat is not as warm as a down jacket hood and doesn’t offer the neck coverage. Nor is it as comfortable. While backpacking this summer on a chilly night that stretched the limits of our sleeping bag, we slept in the Mountain Hardwear Ghost Whisperer Hoody, and the hood was warm and cozy all night. With a beanie, you tend to feel slightly more pressure around your head and ears, the wool or synthetic construction can get itchy, and you sometimes need to make adjustments through the night. 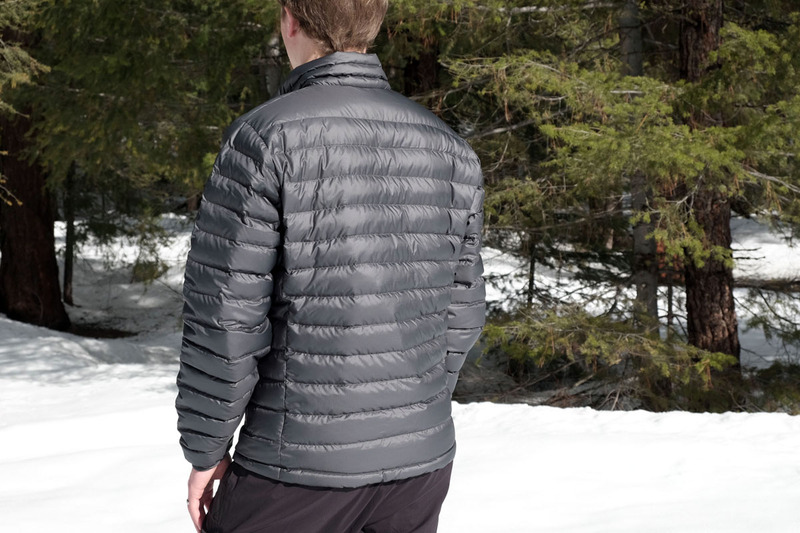 For just about everything but skiing and use as a midlayer, we prefer a hooded down jacket.